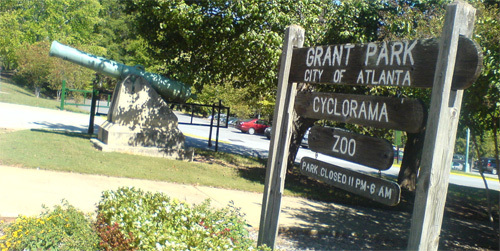 I snuck out of the conference one morning to visit Atlanta's cyclorama, a kind of 19th century Imax. It's a giant painting in the round, combined with a diorama. 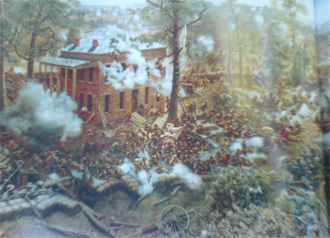 As the seats in the middle of the hall rotate around, the narrator, music, and sound effects tell the story of The Battle of Atlanta. It's really cool, and one of only about three of these things that survives, compared to the hundreds that existed in the late 19th century. 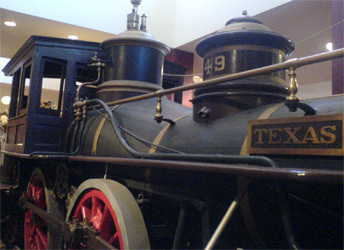 The museum also holds a Civil War locomotive, Texas, that was the hero of a tale that's gone down in history as The Great Locomotive Chase. 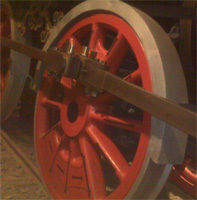 Union soldiers snuck down into Georgia and tried to steal another engine, The General. 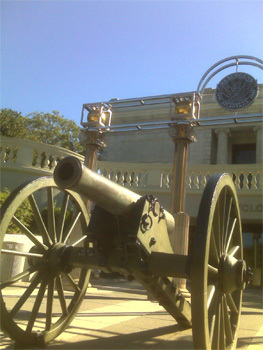 The latter's crew gave chase, first on foot, then on a push cart, and finally on the commandeered Texas. 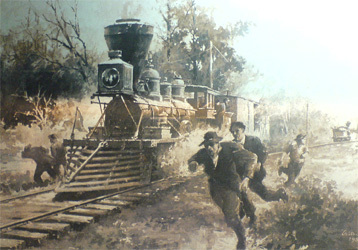 Despite the Union crew's attempts to outrun them and toss all manner of stuff on the rails to delay their pursuers, and despite the fact that the Texas ran its chase backwards, they were all caught.